This last week has been half term for me, but instead of having a restful week, it seems to have been crazily busy! Hence why I’m writing this late and haven’t managed to get any other posts up during the week – I just haven’t had any blogging time! On Monday I had a lovely lie in and then went to see my friend Katy for a relaxing massage, which I desperately needed! Then on Tuesday I had three medical appointments, followed by getting my hair cut and I managed to have a chat to my hairdresser about dying my hair in a few weeks, which I’m really excited about. Wednesday was a bit quieter – I was meant to be visiting a friend in Basingstoke, but I woke up feeling really rubbish so we decided to postpone it to another day. So instead, I spent my day working on some college work and just generally chilling out. Thursday was my Mum’s birthday, Friday I had a couple of medical appointments and met a friend for coffee, Saturday I went shopping with my Mum and on Sunday I went to a Wedding Fayre then spent the afternoon doing arts and crafts with my brother’s fiancé and watching Disney films. I haven’t had a busy week like this for a very long time, and unfortunately I’m really feeling it now, so I guess I’ve learnt from this that I need to plan my time better and not say yes to so many things at the same time! As I mentioned, on Thursday it was my Mum’s Birthday. On our birthdays, my Mum always goes out of her way to make it really special for us, so I wanted to make sure I did the same for her. So, I made sure that everyone had organised presents to give her – my Dad gave her a voucher saying she could go and choose a new sewing machine, I gave her a voucher for her and I to go on a double decker bus ride around London with afternoon tea on the bus and my siblings gave her a Pandora ring, a Pudsey ironing board cover, some bird bits for the garden as she loves looking out of the window at all the wild birds and a couple of other bits and pieces. 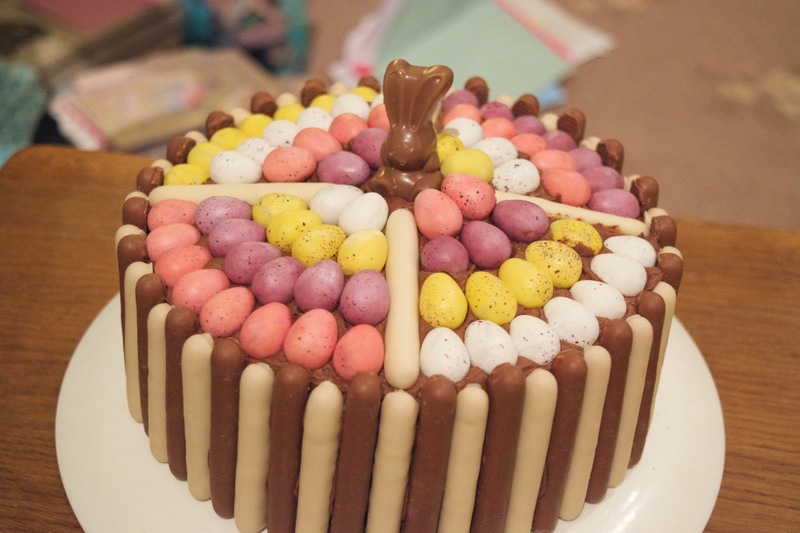 My little sister offered to make the most amazing birthday cake for her (and did a fabulous job of it I must say!) and we really tried to spoil her rotten. On the Thursday my Dad and I took Mum to Reading, where we went to John Lewis and had a look at sewing machines. We then treated Mum to a crepe and a cuppa in the café before heading over to the Mac counter so I could treat myself to a new lipstick! On Saturday, my Mum very kindly offered to take me on a little shopping trip to Basingstoke. I really appreciate her doing things like this, because it’s hard work for her as she has to push me round in the wheelchair and help me carry things, but I do hope that she enjoys spending some girly time together as well. We had aimed to set off at about 9am, but unfortunately we both overslept so it was more like 10.30am! But we still had a lovely time, and thankfully it wasn’t too crowded. Mum managed to pick up a few brilliant bargains in the Primark sale, and I got to spend some of my Christmas vouchers as well. I’ll be doing a big shopping haul over on my YouTube channel soon, so keep your eyes peeled for that if you fancy seeing what I picked up.